William Elvy was born on 22 October 1847 at Glebe, the son of Henry Elvy and Mary Leddy. He was married to Jane Reid Hydaspes Worsley (1852-1936) on 25 February 1871 at St Barnabas Church of England Church, Broadway, NSW, and they had five sons and six daughters. William Elvy died 6 February 1900, aged 52 years, at his residence ‘Boronia’ 141 Rose Street, Darlington, and was interred in the Church of England Section of Rookwood Cemetery. He left a Will and his estate and assets were valued at £679. William Elvy also lived at the corner of Shepherd and Cleveland streets, Darlington. In the 1880s, William Elvy opened a butchery on the corner of Codrington and Rose streets in Darlington. Elvy’s family butchery was run by the family for three generations; the building was demolished in 1971 to make way for Sydney University. On 19 September 1889 William Elvy was declared bankrupt. William Elvy was a Freemason and a member of the Lodge, Morning Star Division No. 7, Sons and Daughters of Temperance. During his time as Mayor of Darlington, William Elvy oversaw the building of the new council chambers next to the new school in Darlington Road, as well as the sewering, road sealing and curb and guttering of the whole of Darlington Municipality. William Elvy was an alderman on Darlington Council in 1878-87 and 1894-99. He was the Mayor of Darlington in 1879-80 and 1888. 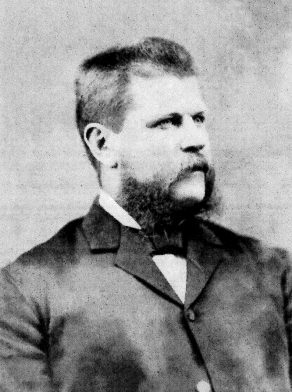 He resigned in 1889. His sons Albert and Arthur, and grandson Harold, were also aldermen on Darlington Council. His son in law James Pope Melville also served on the council.